Solo Central- news, gigs, music and more. Fight the good fight. Always. #withbannersheldhigh 2019. #MischiefAndMayhem Wakefield. Saturday May 18th. Mischief and Mayhem. London Tuesday May 7th. 'Headscarves and Hurricanes' live and complete, right in the heart of the community who inspired it. Hessle Road, Hull. Friday July 12th. “It leaves us with the certain conviction that we owe it to those who came before us, and, indeed, to those who come after, to continue to fight oppression and inequality in all its many forms and to make the world a better place in whatever way we can.” – Yorkshire Gig Guide. 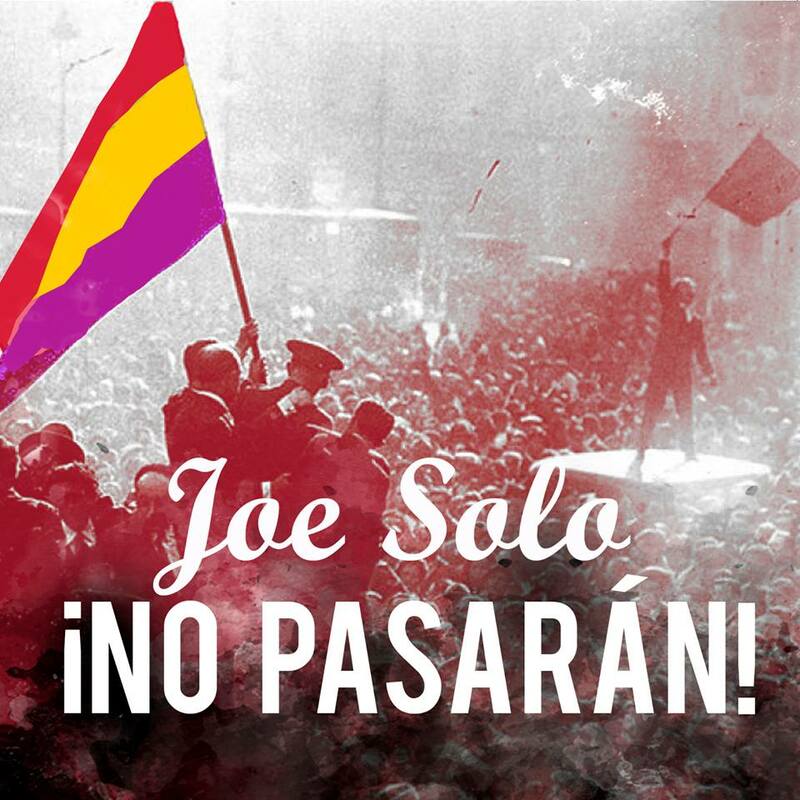 “Joe Solo has a firm grasp on the essence of good political music: to entertain, to educate and to inspire……as passionate as ever ****”- RnR Magazine. 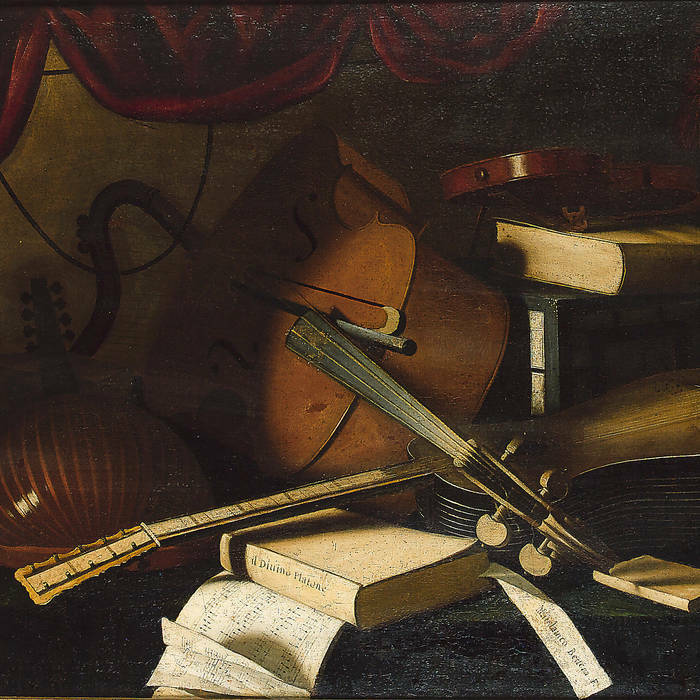 “Few others can latch on to the everyday as a writing source and see its true value, especially creating work which reflects a true working class voice: unbowed by aspirational politics, focusing instead upon togetherness. This defiance is Joe Solo, and his unbridled positivity is priceless, and a rare characteristic to find. Selflessness runs through, not just his actions, but his music too. That sense of community, belonging and defiance, runs through everything that he creates.” – Tenfootcity Magazine. 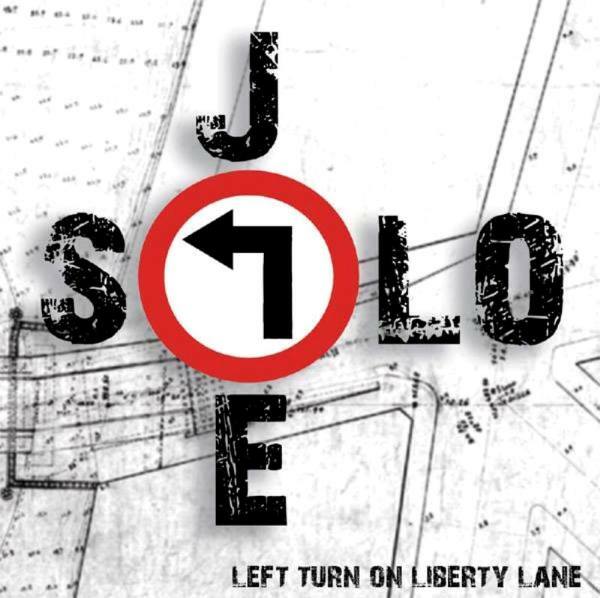 “Truly unique, Solo’s songs are lessons in the true meaning of solidarity.” – Morning Star. ‘THE FUTURE NEEDS US NOW’ was released on January 6th 2017 on CD and download. The album contains songs and poems written by Joe throughout a year of tumultuous change in politics and society at large and they combine a fear for where we may be heading and a hope that good sense, love and compassion will prevail. Once again the album features the fiddle and vocals of Rebekah Findlay, and this time out there’s also a duet with Joe’s long-time road buddy Daniel Lucas aka Boss Caine. “If you care, then care out loud!” sings Joe on the album’s opener. The songs tell the story of the 1984-85 Miner’s Strike through the eyes of the men and women of Stainforth and Dunscroft, South Yorkshire- The Hatfield Brigade. 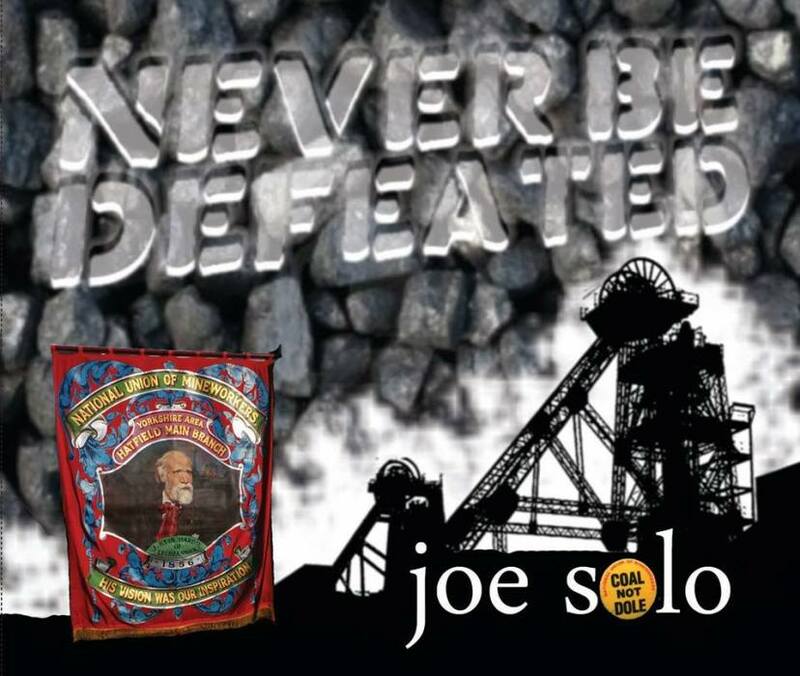 The album is dedicated to all striking miners and their families who gave up so much for so long and deserved better. So begins ‘Pounded Earth’, Tommy James’ account of being a volunteer for the International Brigades fighting the fascists in the Spanish Civil War. And so began this album. Besides Tommy, one of the other men was Jack Atkinson, a lorry driver from Hull who told his mother he was going to drive ambulances; a third was “Arnold, a comrade from Leeds.” The other two are not named, but I called them Harry Jones and Bill Palmer, and, together with details from Tommy’s book, stories from Jack’s surviving family, and a pile of text books, I set about trying to write their journey through Spain. This album is about friendship, trust, war, political conviction, and how our deeds live on long after we are dust.